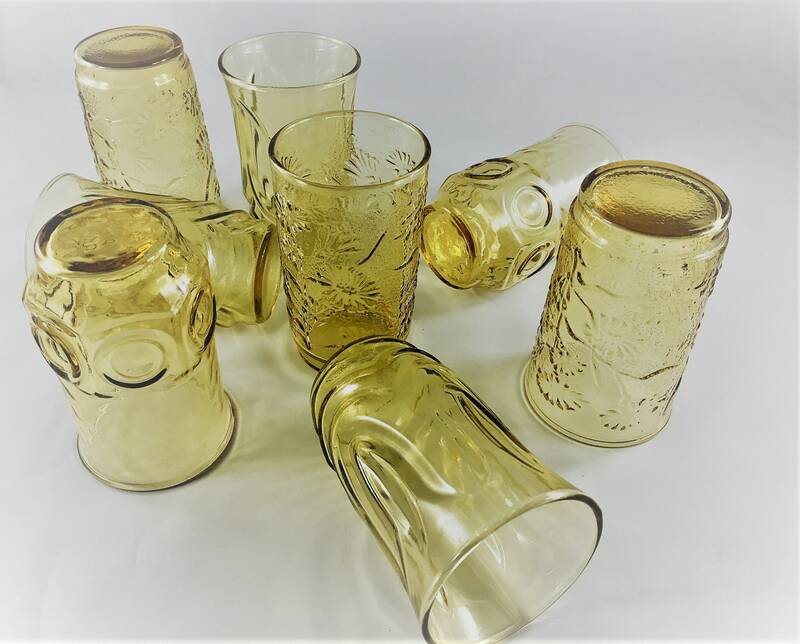 Featured is a sweet collection of 8 amber juice glasses. 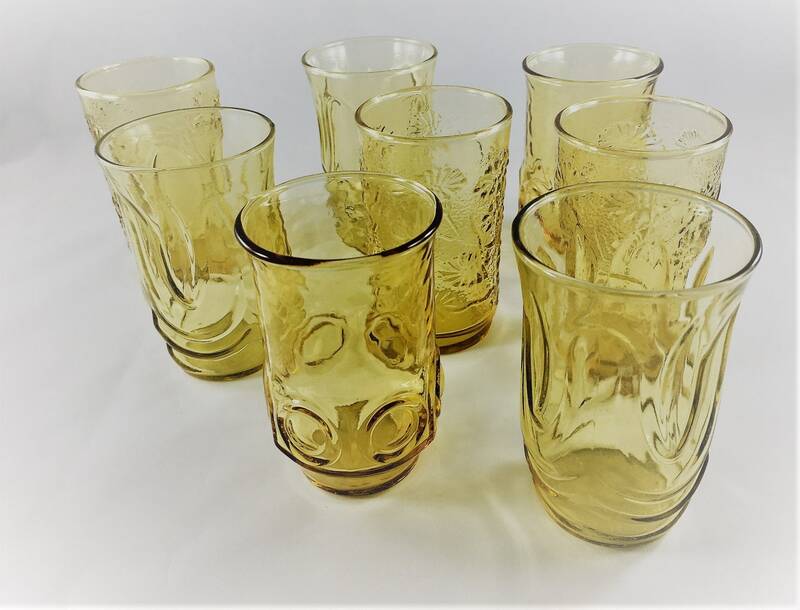 These small vintage glasses are perfect for your shabby chic or retro kitchen. There are three different patterns represented. 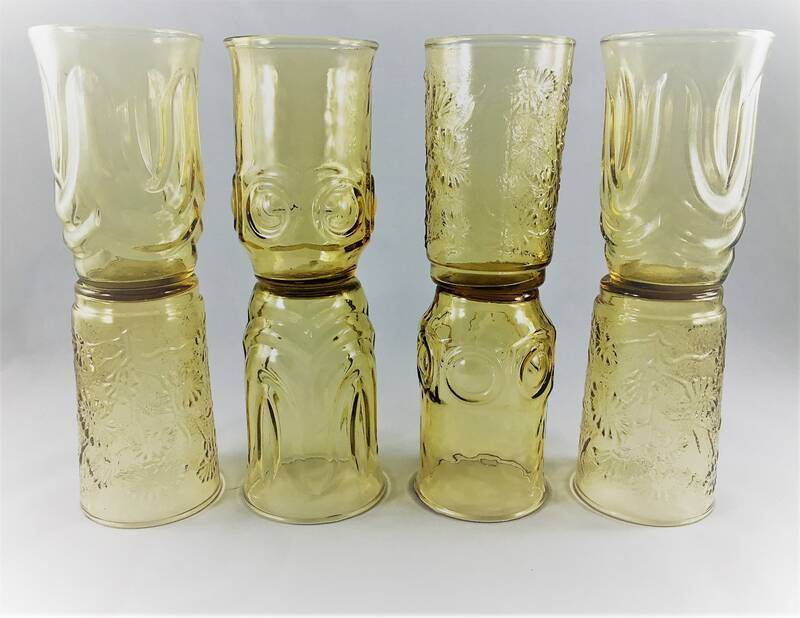 The glasses are about 3 3/4 inches tall and 2 1/4 inches in diameter at the rim. All are in great condition, free from any chips or cracks. 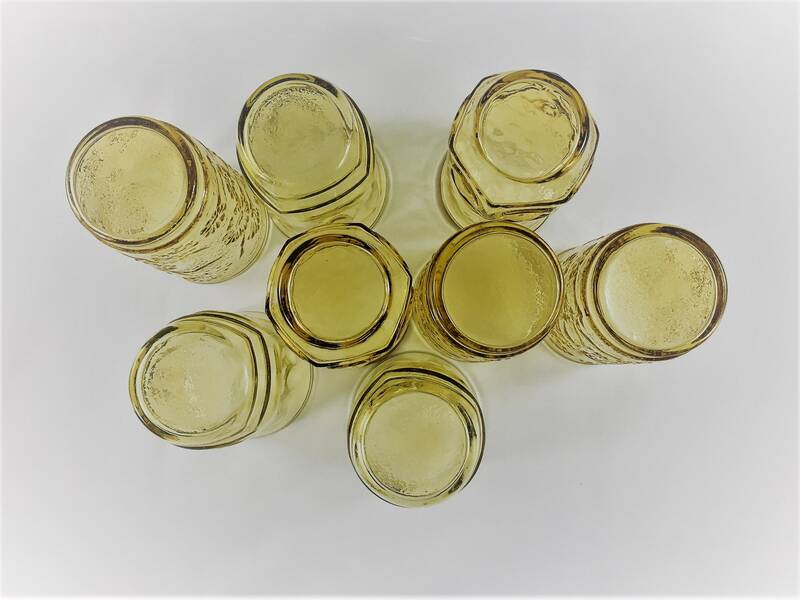 All 8 glasses for one low price.